Hi guys! 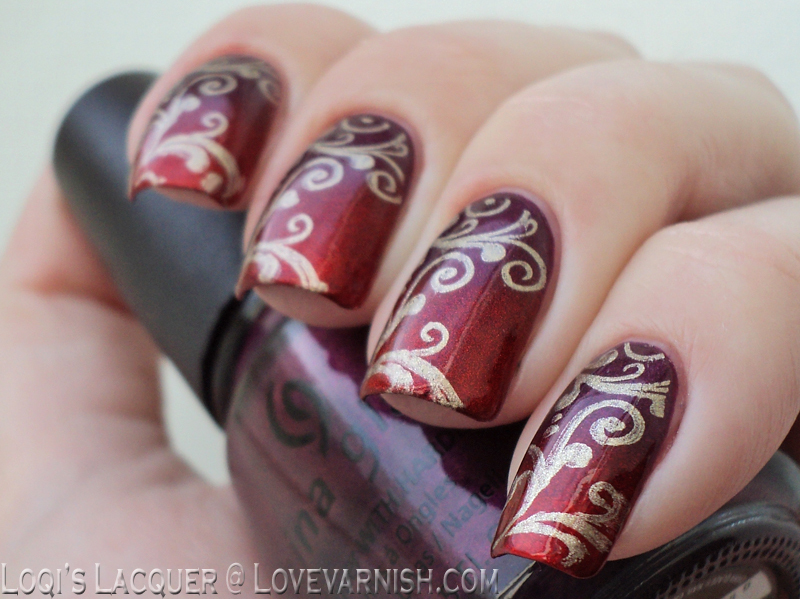 As you guys might know, I love the look of stamping over gradient manicures. 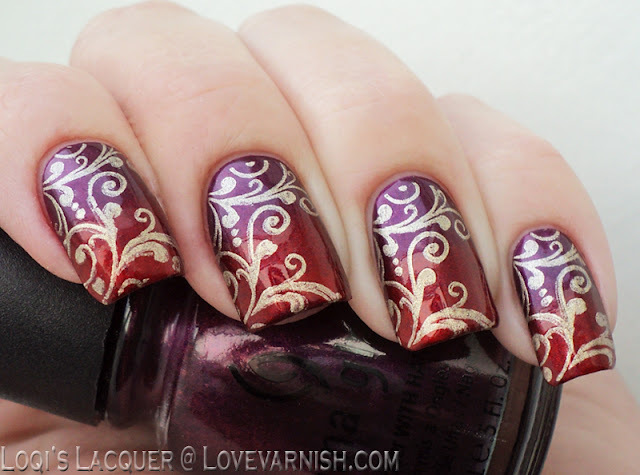 However, I hardly ever do it because I find gradients quite difficult to do, and when I finally make one I'm afraid I'll ruin it with a bad stamping job. But This time I was feeling confident and I tried it, and It turned out great! You may or may not remember I did a gradient similar to this quite a while ago. The gradient I did then was red at the top and purple at the tips and was done with China glaze Stella and Zoya Isla. This time I turned the colors around and switched out Zoya Isla for OPI Die another day because I wanted it to be a bit brighter. I love using jewel toned polishes for gradients, they always look so luxurious! 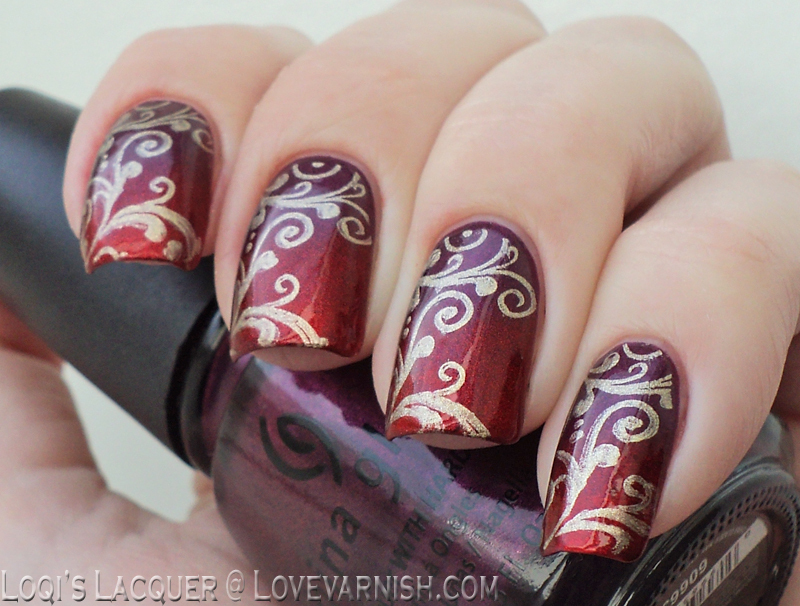 To add to the jewel and deluxe effect I then stamped over the gradient with the curly pattern from BM-314 and China Glaze Passion. I am SO happy with how this turned out! 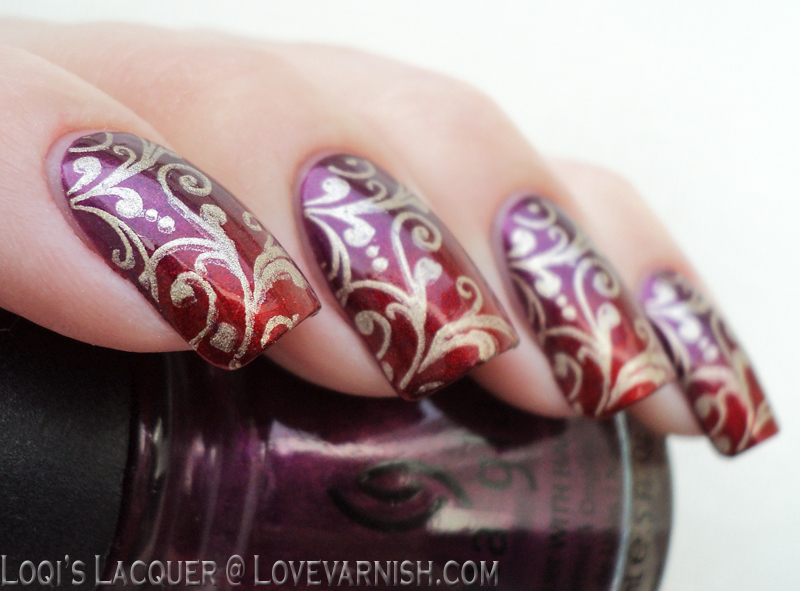 And I'm also kind of proud I finally forced myself to stamp a gradient. I hope you guys like it to and see you next week!